A total of 21 per cent of partners were promoted to titanium status within Dell EMC during the past 12 months, as the vendor skills up a channel business now worth more than Nike. In reaching the US$43 billion mark, the tech giant’s indirect business surpasses the revenue of the world’s leading sports designer, in addition to Starbucks, McDonald’s and Time Warner. Central to such growth has been channel enablement, with 150 authorised resellers promoted to metal tier within the last year, spanning gold, platinum and titanium statuses, in addition to titanium black for a select group of global partners. “Our imperative this year is to make it easier for partners to do business with Dell EMC,” said Tian Beng Ng, senior vice president and general manager of channels APJ at Dell EMC. 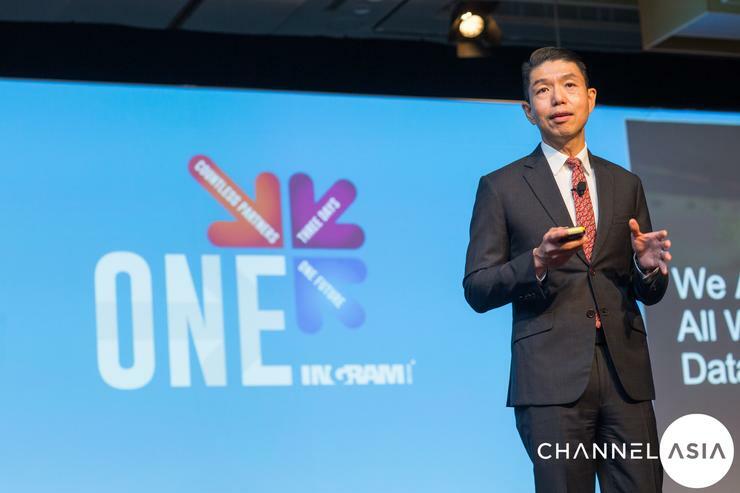 In addressing 1700 attendees during Ingram Micro One APAC in Singapore, Tian Beng said 60 per cent of metal tier partners grew 40 per cent year-on-year, leveraging a portfolio which includes notebooks, desktops, server, storage, networking and peripherals. Within such growth, 70 per cent of partners “made more money” than last year through Dell EMC. The channel drive comes as Dell EMC rolls out a fresh round of partner incentives in markets experiencing growth. Forming part of aggressive indirect plans both locally and globally, the vendor is actively rewarding competitive take-outs, heavily compensating individual sellers and driving business growth across multiple business lines. Channel changes also align with key priorities for the vendor during 2018, which centre around growing partner capabilities across the region. “We’re making sure our partners are completely enabled and bringing in net-new accounts,” said Tian Beng, when speaking to Channel Asia in April. To capitalise on such potential, Dell EMC aims to enable partners through a revamped Partner AdvantEdge Incentives offering, backed up by the expansion of the Future-Proof Storage Loyalty Program.